It seems appropriate for April fools day to talk about the safe. 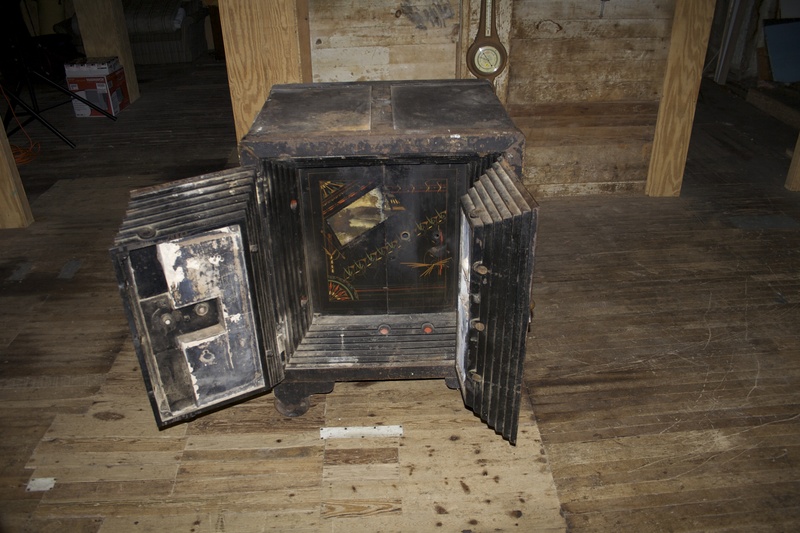 Nancy always introduces the safe as the one Jesse James blew up on his way through town. This was not true but it made a fun story. When we bought the Mill in 2005 the safe was sitting in the middle of the first floor and it took about a year for us to find enough people to move it up against the wall. It was on wheels but it was very heavy. I’m hoping we will find it in the basement when we clean up from the fire. The first time we opened the safe- its entire contents was a roll of masking tape. We assumed the crafters felt that was precious.